"Super happy with my new resume. I like that your templates are easy to edit with good old Word instead of complicated software programs." Select one of the templates from our store that suits your style and profession. Use Microsoft Word to enter your information. 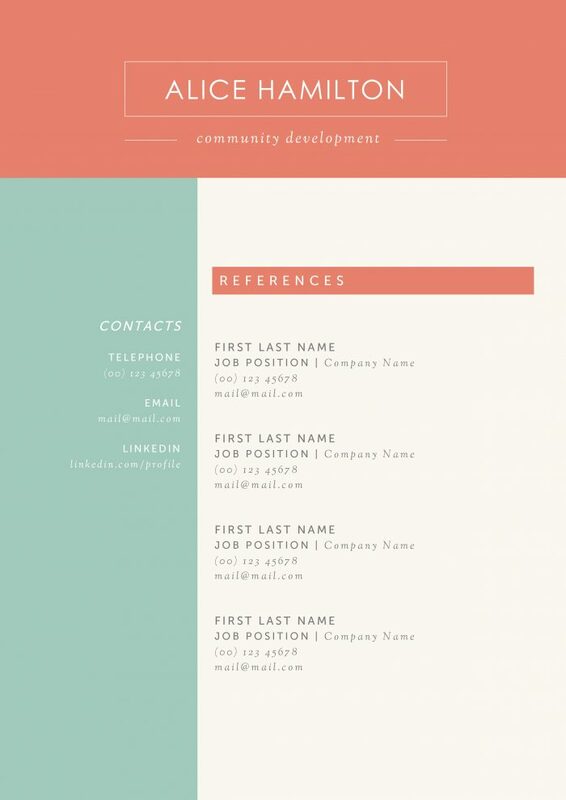 Most of our resumes are also editable with Word for Mac. Print it in PDF or paper and land that interview! Research suggests recruiters and hiring managers spend just 6 seconds looking at a resume or CV to come to a YES or NO. In other words, you need to stand out and Kukook helps with that. We can tell you all about our professional resume templates, but what do our customers think? With your purchase you'll receive a zip file with the template. In some cases we've used fonts that are not standard in MS Word or Word for Mac. In those cases the font is included and they can be installed with one mouse click. Yes! Our creative templates are very versatile and everything can be edited. You like one of the layouts but don't want to include a profile photo? Just remove the picture. Don't like the font of the title? Change it to another. Do I need Word for this? Yes. Both Microsoft Word and Word for Mac are fine. Some of the templated can also be edited with Apple Pages. On the product pages is shown which versions are included. Don't have Word? Download a free trial. The resumes are not compatible with OpenOffice, Google Docs, or Word Online. I am not satisfied, can I get my money back? If for whatever reason you're not satisfied with your purchase we'll issue a full refund. There's only one condition: We'd like to hear why you aren't happy with the template, so that we have a chance to learn and improve.